Hey Everyone! I’m back! I was shocked when I went back home for Christmas and was asked by nearly everyone I visited what happened to the Red Headed Chef. I love knowing that there are actually people that read my blog! 🙂 I’m thinking though that one of my New Year’s Resolutions will be to write a few new posts every month. A 2 month hiatus is just too long! 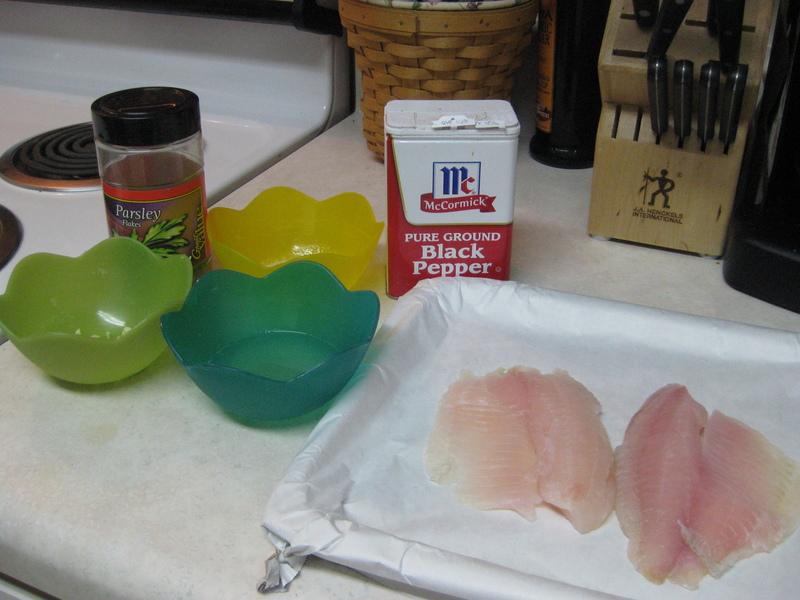 So today I wanted to share with you a quick and easy recipe for baked tilapia filets. I figured this is a great recipe to start the new year with because it fits in with a lot of people’s New Year’s Resolutions to lose weight. These filets are great because they taste good (not too fishy!) and are good for your heart and your waistline! I can’t stress how simple this is – I could submit it to Rachael Ray for 30 Minute Meals or Claire Robinson for 5 Ingredient Fix… Hopefully that gives you an idea! And for all you non-fish people out there, you should definitely give it a try. 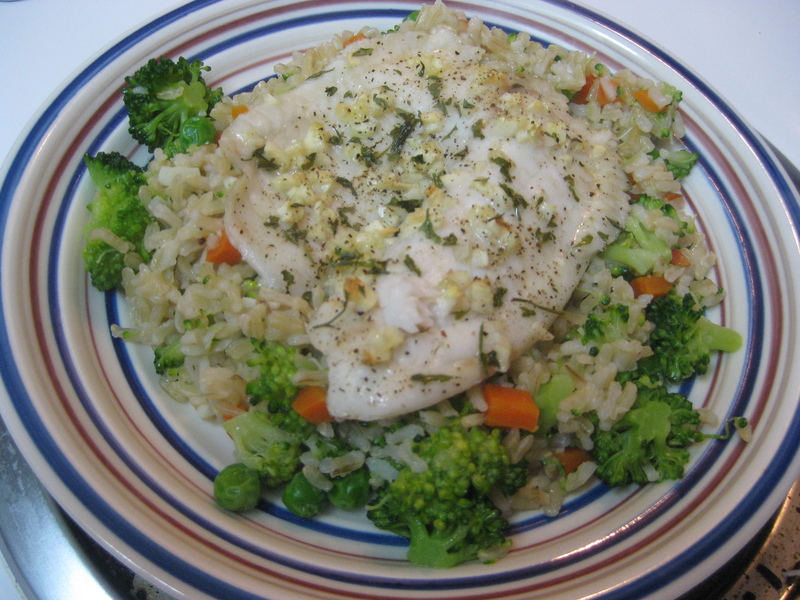 This recipe did not stink up my house, and and really does not taste overly fishy. I don’t think I would like it if it did. It just has a nice, light flavor and will leave you just satisfied, not overly stuffed – which is much needed after the holiday eating spree we went on!! Preheat oven to 375 degrees F (since I was only making 2 filets I was able to use our toaster oven!). 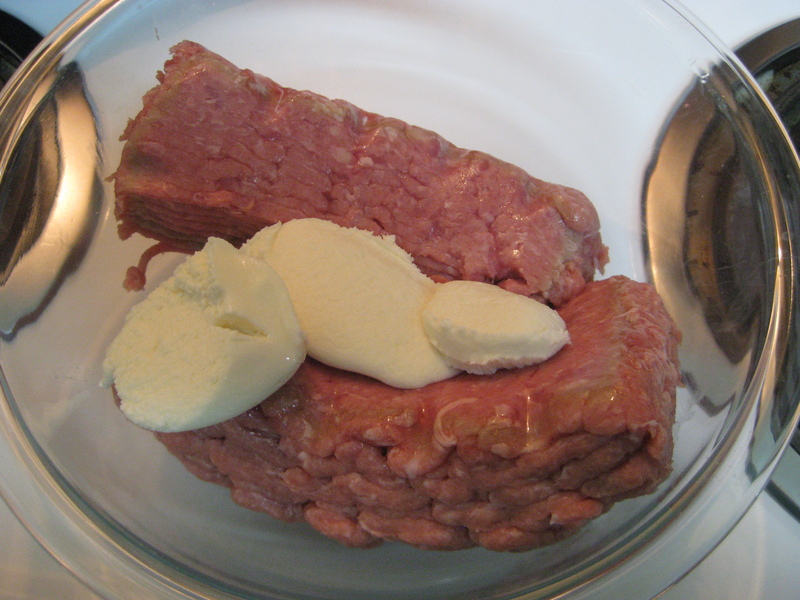 Place filets in the baking dish. Brush filets with lemon juice and then drizzle butter on top. Sprinkle with garlic, parsley, salt, and pepper. 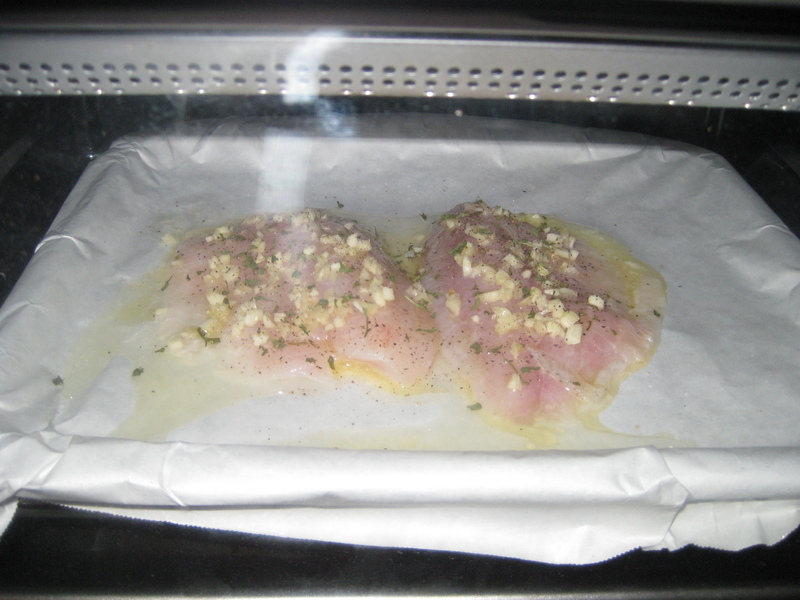 Bake about 15 minutes or until fish is white and flaky. Serve with freshly steamed vegetables, brown rice, and a lemon slice. Stay tuned because I’ve got some other exciting new recipes coming up like low-fat but still delicious muffins and turkey meatballs!! Tags: fish, food, healthy food, recipes, what's for dinner? Categories cooking, healthy living, recipes, Uncategorized, what's for dinner? Fall is the season for lots and lots of soup. There’s just something about a steamy bowl of soup combined with chilly temps and colorful leaves that just warms the soul! 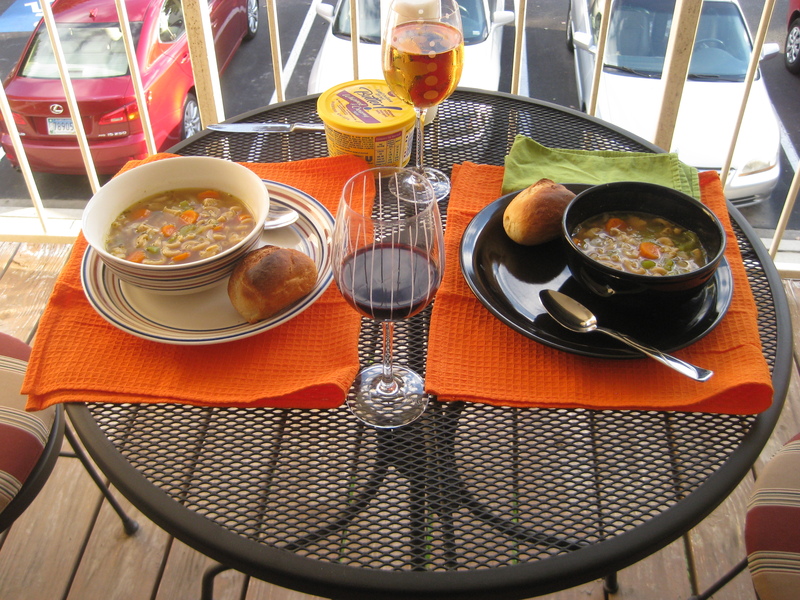 Yesterday was one of those days that was perfect for soup. I was not in the mood for anything tomato-y so I opted for chicken noodle instead. 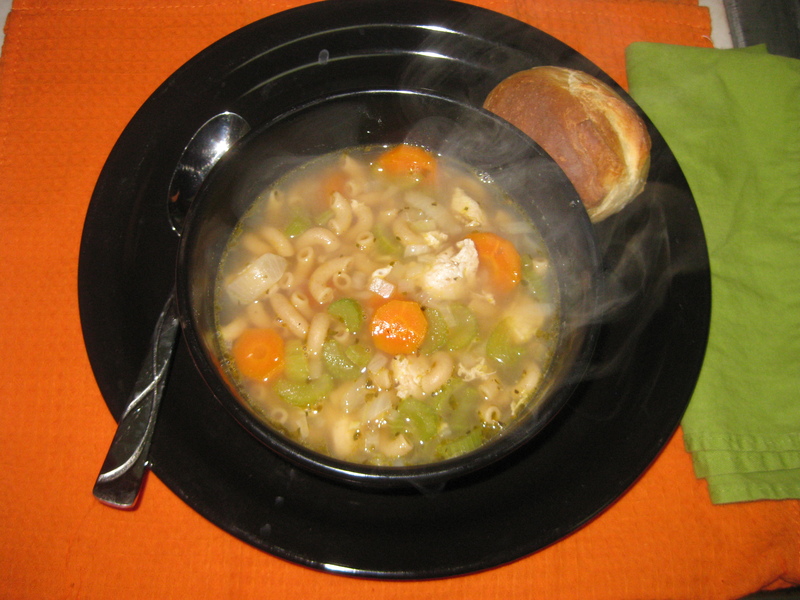 I have to tell you that after making my own, I will never go back to canned chicken noodle ever again. When you open a can you get a bunch of mushiness with a chicken flavor. When you make your own you can actually taste the chicken, noodles, carrots, celery, and onions. It is amazing! I made a small pot (only used 1/2lb chicken), and somehow by the end of the evening we had eaten at all! 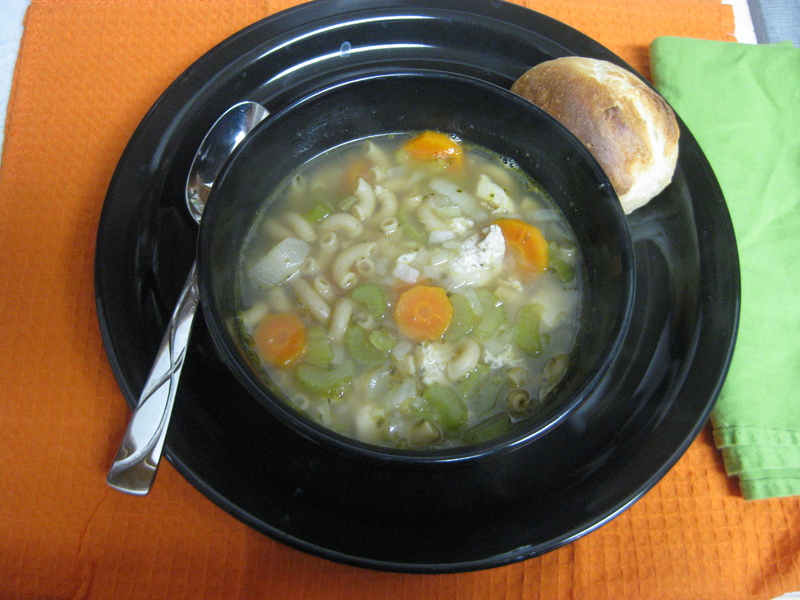 I actually didn’t take any pictures of my soup yesterday – we were both hungry and more worried about actually eating! 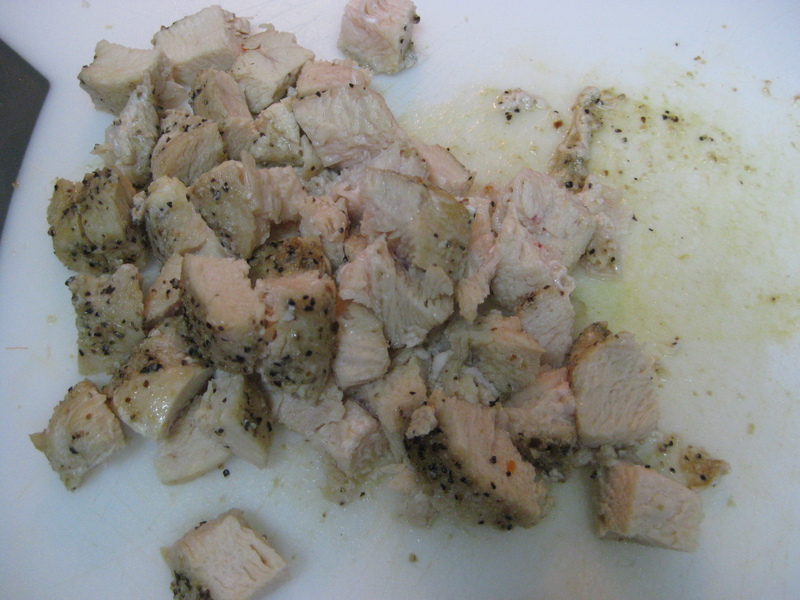 I did things a little differently the first time, like cutting the chicken into cubes rather than shredding it. Also, when I made it last night I added a can of corn which is a little non-traditional but was delicious! The first time I made this we had little french rolls on the side, but last night, since we didn’t have anything else, I whipped up some quick Bisquick biscuits to go with it. I hope you give this hearty meal a try sometime this fall! First you will want to cook your chicken. I have cooked it in a pan before, but I actually really like poaching it (cooking it in a pan of boiling water). While the chicken is cooking chop your onions and garlic. 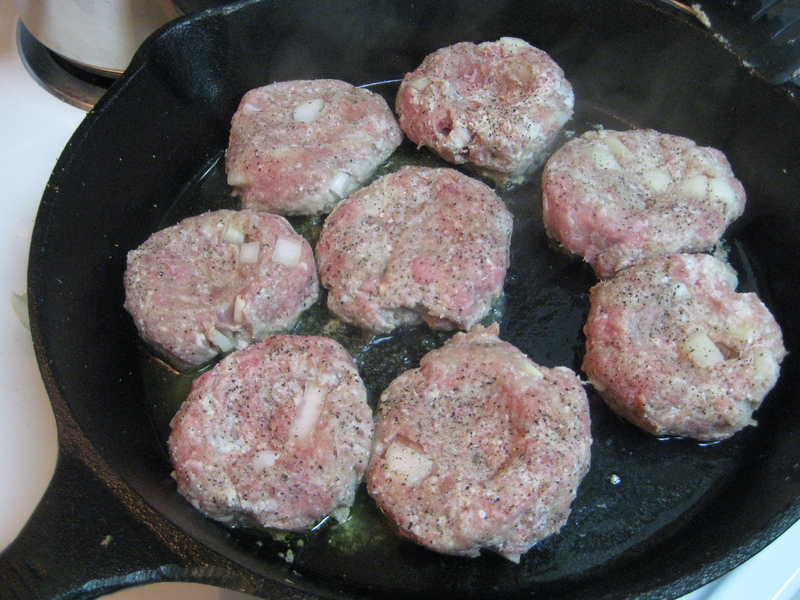 Begin sauteing them in your soup pot over medium heat. Next chop your carrots and celery and add them to the pot. Saute all of this until it begins to soften a bit. 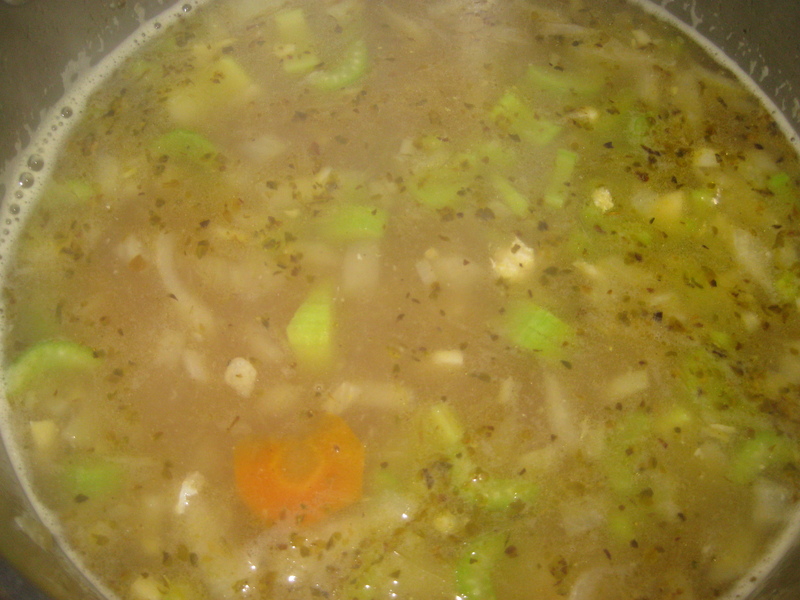 Add 1 box of chicken stock and about an extra cup of water. Season with salt and pepper as you like. Bring to a simmer. For the pasta: I have done this two different ways. 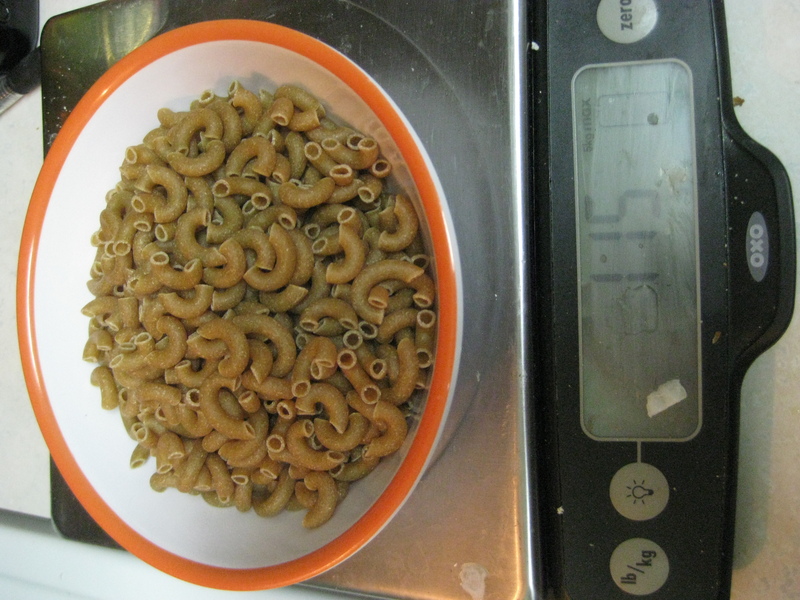 The first time I cooked the pasta on its own, but last night I cooked it in the chicken stock. I think I prefer the chicken stock method. When your chicken is cooked all the way through, either dice it or shred it and add it to the pot. Finally, add corn (optional), and let simmer until the pasta is cooked all the way through. Serve with a roll or biscuit and wine of your choice! Enjoy! Tags: chicken, chicken noodle soup, cooking, food, in the kitchen, recipes, soup, vegetables, what's for dinner? Categories cooking, food, healthy living, married life, recipes, soup, vegetables, what's for dinner? Ever since Karl’s dad’s big surgery (his dad is doing fantastic, by the way), we have become much more conscious about avoiding red meat. 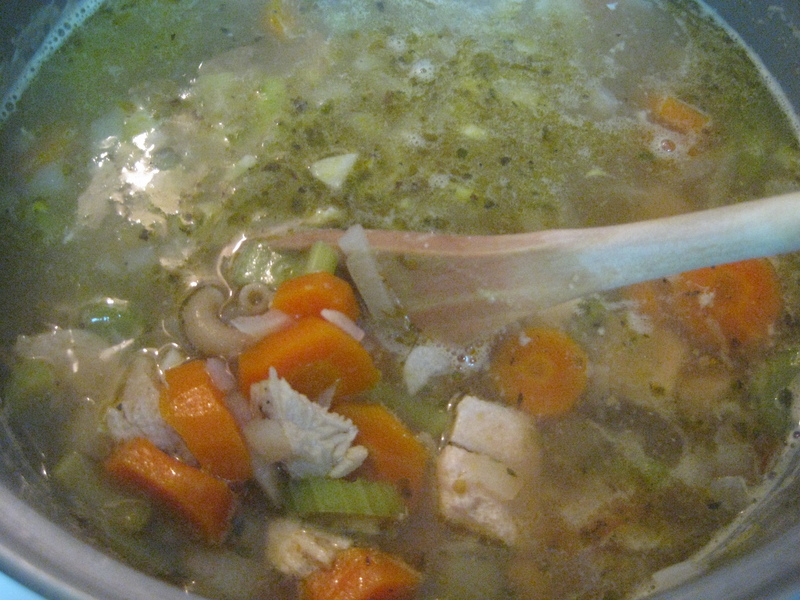 We have learned that ground turkey and chicken can be great substitutes in soups, tacos, etc. The one thing we had not yet conquered was a burger. Sometimes there is just no replacement for a juicy burger – until now! 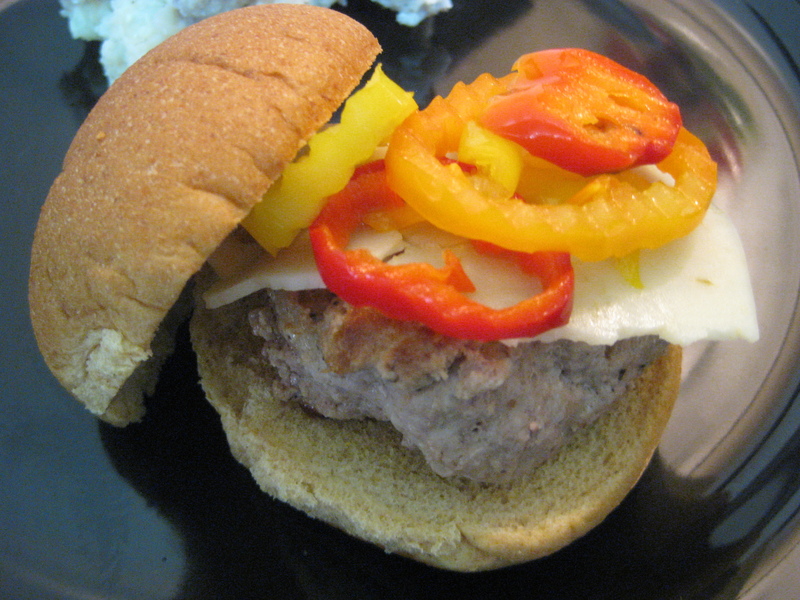 Previous attempts at turkey burgers yielded dry, boring burgers that we didn’t even want to finish. Then one day I saw this type while watching an episode of Down Home with the Neelys. 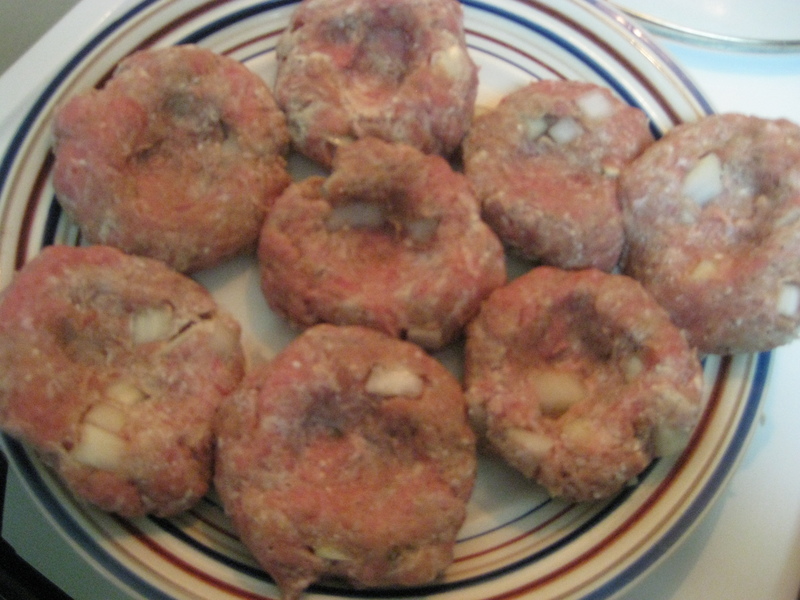 They suggested adding ricotta cheese to keep the burgers from drying out. I knew right then I needed to try this! These would be great with some sweet potato fries (baked, not fried) which I have yet to master. If you have any sweet potato fry recipes please share them with me! Since I have not yet mastered the sweet potato fries I served these with garlic smashed potatoes which were really good as well! 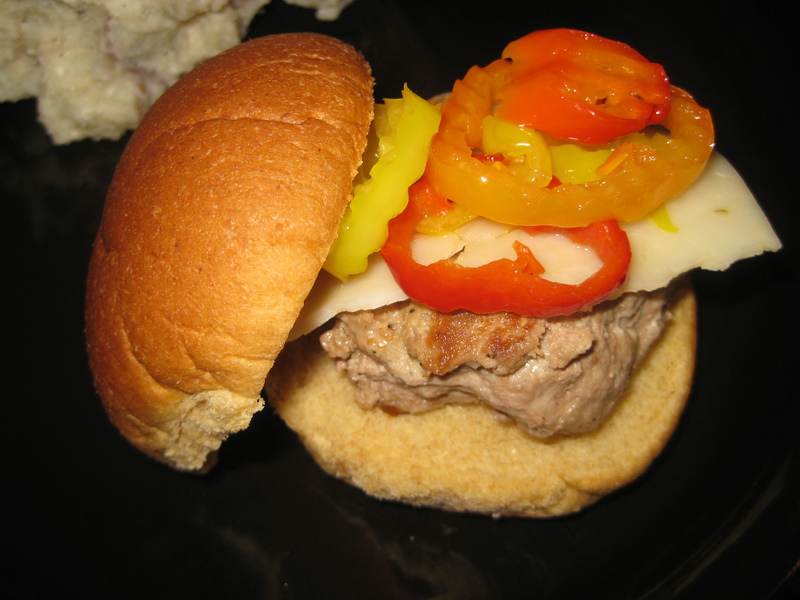 Tags: cooking, food, healthy living, recipes, turkey burgers, what's for dinner? Categories cooking, healthy living, recipes, what's for dinner? As you’ve probably already gathered, Karl and I like to eat a lot of beans! They are delicious, filling, and a great substitute for meat in your dishes! 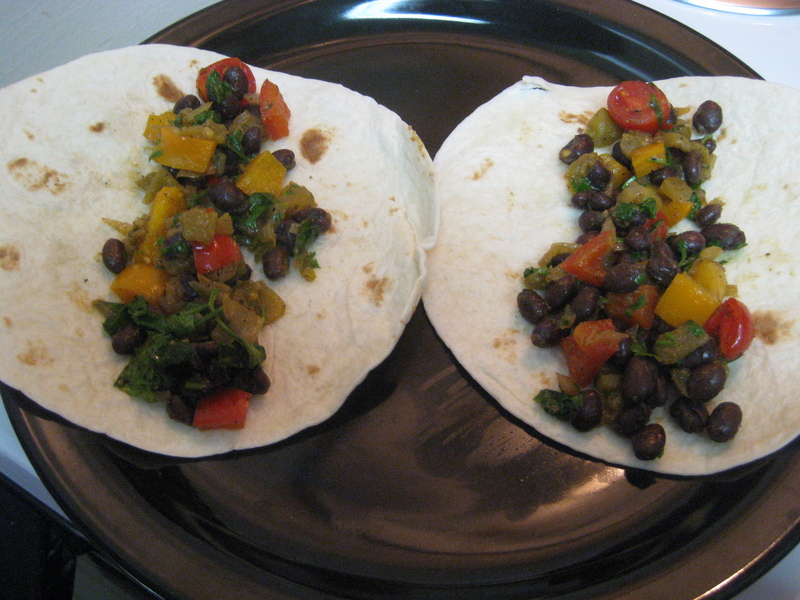 One such bean dish we tried a few months ago and loved is black bean tacos. 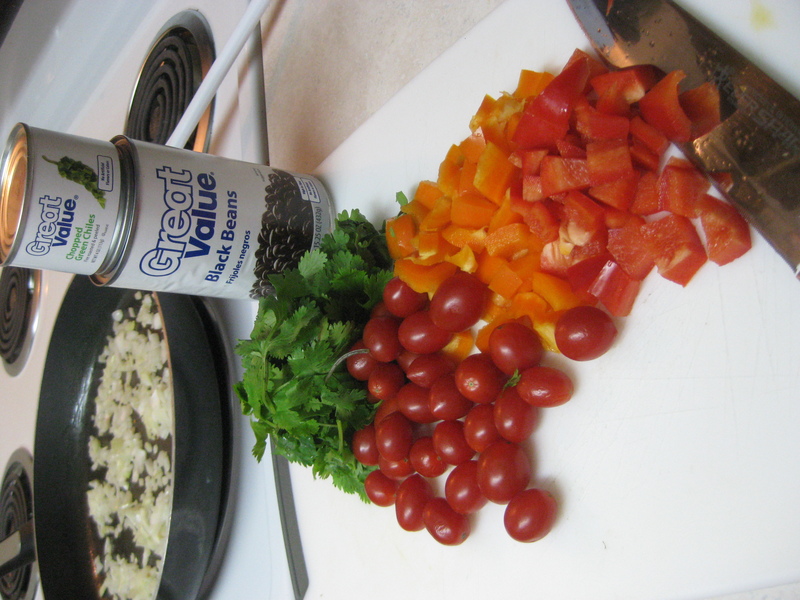 We love making black bean tacos for many reasons. 1 – they are delicious. 2 – they are cheap; a can of beans costs only $0.75 while a pound of ground beef is around $3.80. 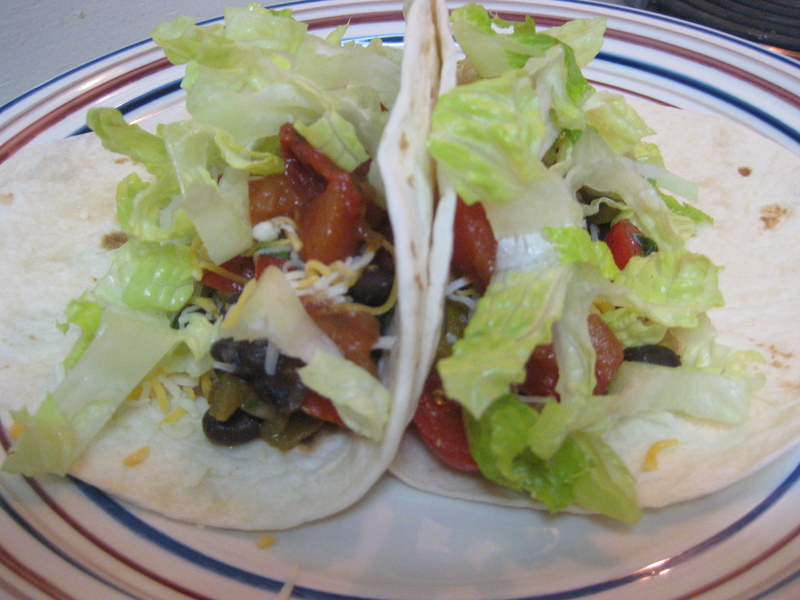 3 – they are quick and easy; I can have dinner on the table in 20 minutes or less. They are so, so simple, and I promise if you try them you won’t miss the meat! Heat 1 tbsp olive oil in a large saute pan. 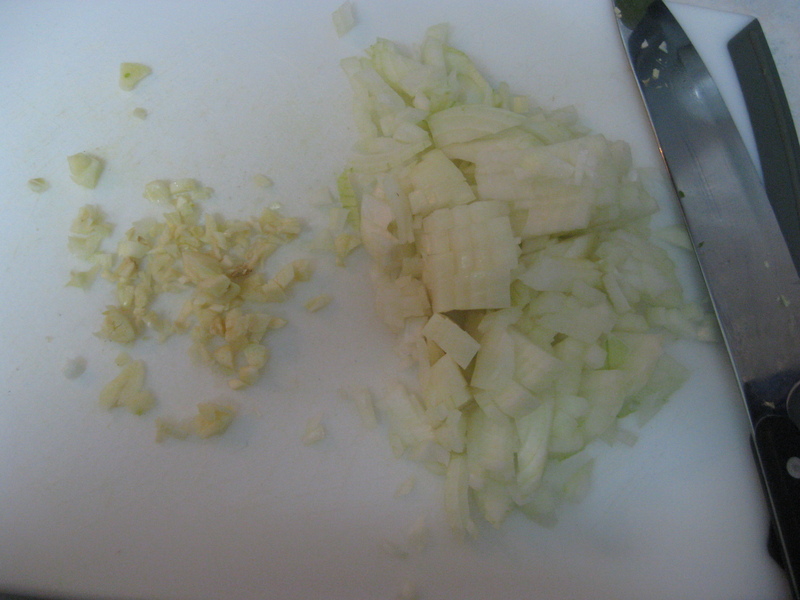 Dice onion and begin sauteing. 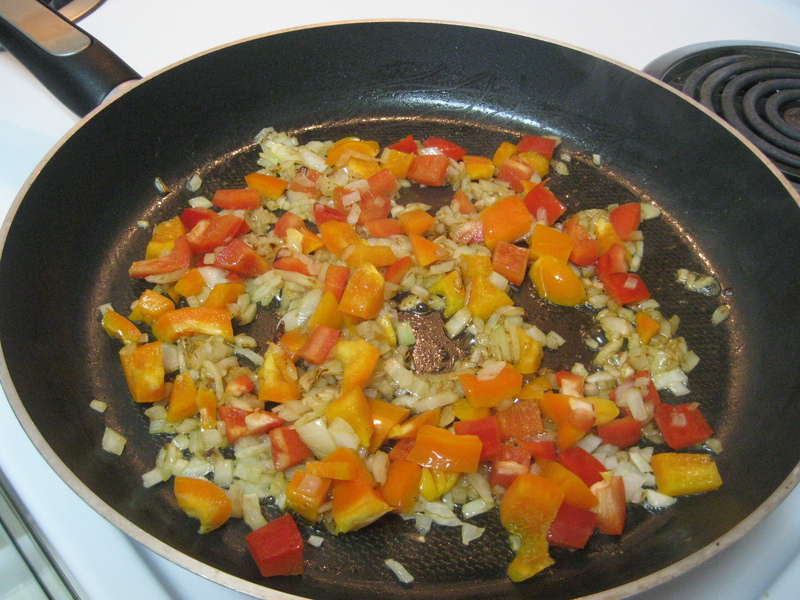 Dice peppers and add them to the pan; cook until onions and peppers begin to soften. Add beans, green chiles, and cilantro. Season with cumin, chili powder, salt, and pepper. Slice tomatoes in half and add just before serving. Cook until all ingredients are warmed through. 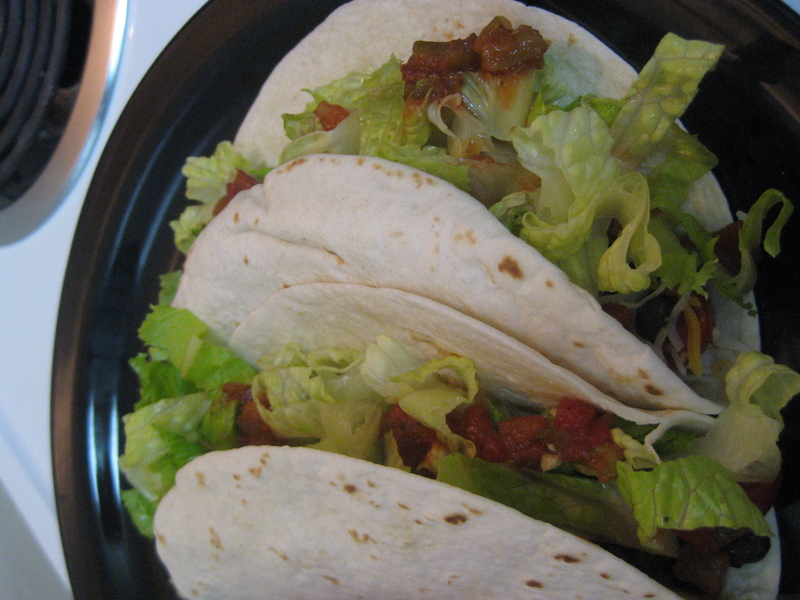 Fill tortillas and top with cheese, lettuce, and salsa. Enjoy! We usually eat these by themselves but they would also be great with some Mexican rice. 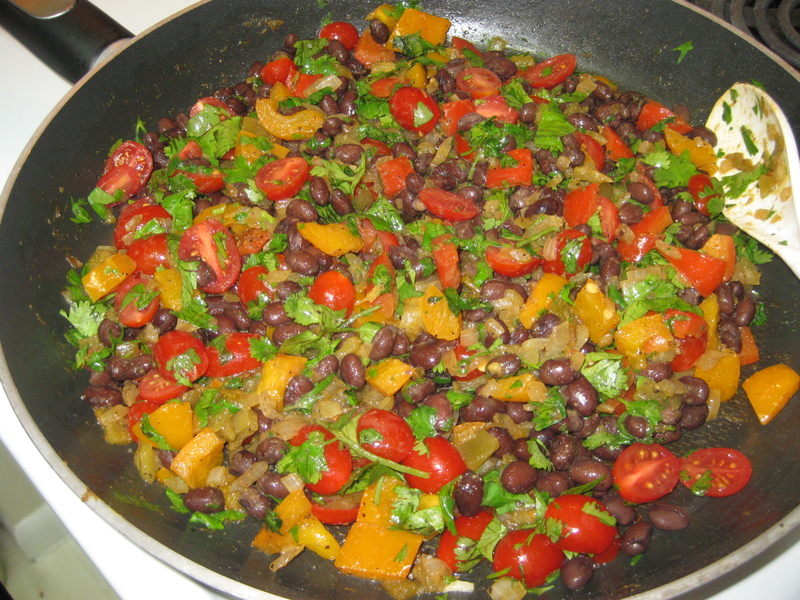 Tags: black beans, cooking, food, healthy living, recipes, tacos, vegetarian, what's for dinner? 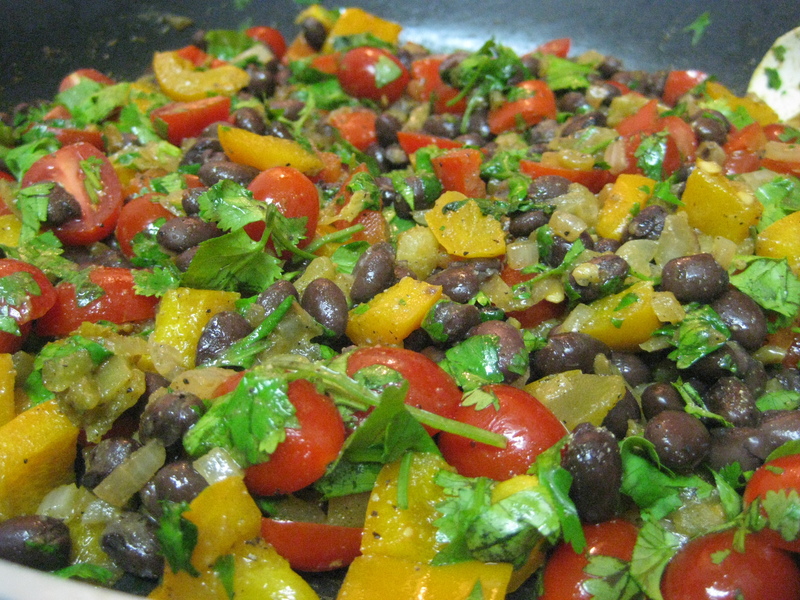 Categories black beans, healthy living, recipes, vegetables, vegetarian, what's for dinner?